CosmoBC.com » HomeBlog » General Renovations » How To Buy A Chainsaw Easily? As a house worker, your use of the chainsaw you plan on buying will not be more than trimming the trees or going for cutting if the growth of one goes wrong in the woods nearby or at a place located in a natural land that belongs to you. 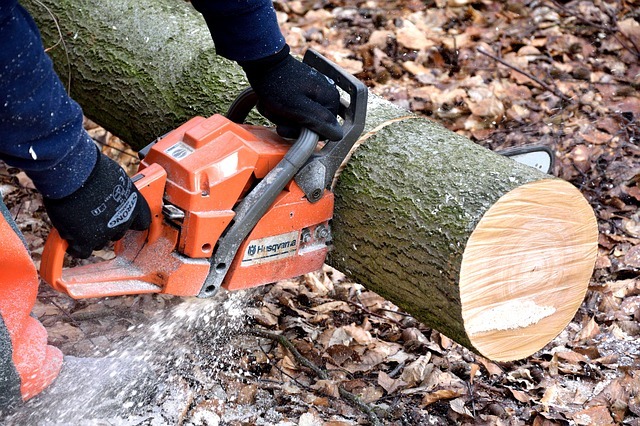 The task is very specific, but that does not mean you should not be aware of what exactly to look for when buying a chainsaw. This guide will help you discover more regarding the considerations which need to be made to purchase one, contributing to making the task easy for you. As mentioned above, for a house worker a standard electric chainsaw will work just fine because you will not be doing heavy cutting every day where sources of energy are not abundantly available. However, suppose you own a farmhouse and a few trees nearby have caught your attention, and they are hardwood trees which need to be dealt with. In such cases, you should go for a gas or battery powered chainsaw which is more powerful for such study uses. Knowing the exact purpose will go a long way in making sure your purchase fits exactly to your demand. The first kind is the gas powered chainsaw, which is indeed the most powerful and difficult to use. The difficulty is brought upon by the safety precautions which need to be followed at all costs while using it because these chainsaws tend to be very noisy and can cause hearing problems if you are not careful. Use ear protection while using these and make sure you never touch the saw while it is powered on. The second type is electric powered chainsaws, which are relatively safer and less troublesome depending on the power and length of the saw you use, but the overall power they deliver is said to be less than that of gas powered ones. This is why for industrial uses a gas powered one works better. The third type is battery powered, which is basically the same as electric powered ones except there is no wiring issue involved and the battery needs to be recharged/replaced accordingly. It goes without saying that a chainsaw is indeed very dangerous, and if you are not physically fit enough to handle heavy equipment such without being able to fully control it then the dangers you are putting yourself through are insurmountable. Check the chainsaw that interests you for its shape and weight, and see if you can manage yourself well with it. This takes precedence over most other factors for some people because if something is out of budget then all other considerations about it are in vain. Check for market prices and keep a suitable range so that most of the good products are not out of your reach. The frequency of usage of a chainsaw for a house worker is nothing extraordinary, so do not burden yourself with one that is very high in maintenance otherwise you will end up recovering less than you pay in the coming days.